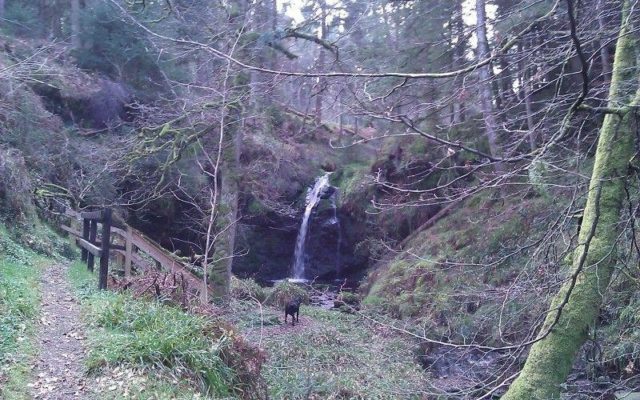 Hidden away on this short walk is the gem of a waterfall known as Hindhope Linn. Head up the forest road, passing Blakehopeburnhaugh Farm on the right. 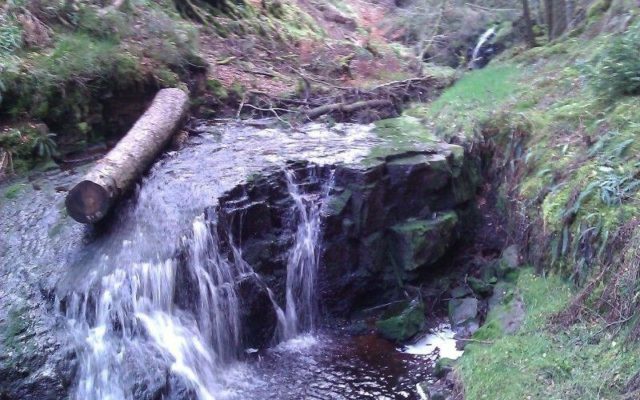 After turning into a well thinned crop of Scots Pine, follow the path above a gorge which overlooks the Blakehope Burn. Carefully descend the steps and enjoy the magical secret of this trail. From here, the path winds through some shady riverside before climbing up again. After crossing the Hindehope Burn, the trail passes the top of the waterfall. Moderate. 1.25 miles/ 2k 45 mins. This is a very picturesque little dell to walk around. We have done it many times and would recommend it. Its worth noting that this point is along the Pennine Way and so you can vary or add to this walk if desired. Walk North along the Rede River for a while before peeling off through more woods or head South through the forestry land for hours of off lead exploration.